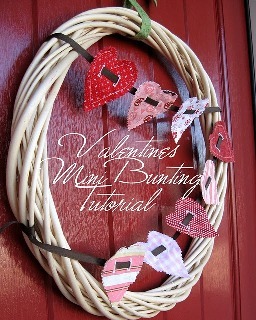 Chris from Pickup Some Creativity shows how she made this Valentine’s Mini Bunting with scrap fabric hearts. This is so cute!! She used hers to decorate an all-season wreath for her front door. Get the tutorial. And check out her larger version of the mini bunting – the Ruffled Heart Banner.